Dragon Royal Hotel lies on the National Road #6, just 15 minutes away from one of the historical wonders of the world and about 5Km from the Siem Reap International Airport. Restaurant : - Dragon Restaurant: ground floor, Asian, Vietnamese & Western dishes and specialty buffets. (Open from 06am to 10pm)- capacity of 200-250 pax. FOC water & beverages for buffet, free for children under 3 yrs old and half price from 3-12 yrs old. Single Room : Our Single Room offers you spacious comfort of 42 meterss square with full amenities including shower Caps, toothbrush, Soap, Shampoo and foam bath. All the rooms come to inclusive of Daily Breakfast . 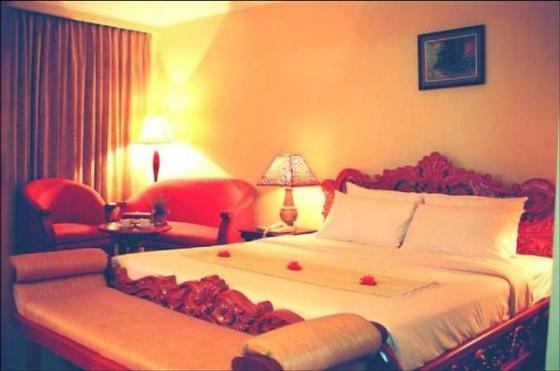 Twin Room : Our Twin Room is Spacious of up to 45 meters Square with full of Standar Amenities. All the room Also inclusive of Breakfast. Triple Room : Our Triple room is Spaciouse of up to 45 Meters Square with Original bed ( Not Add Extra bed ) . All the rooms inclusive of Breakfast. 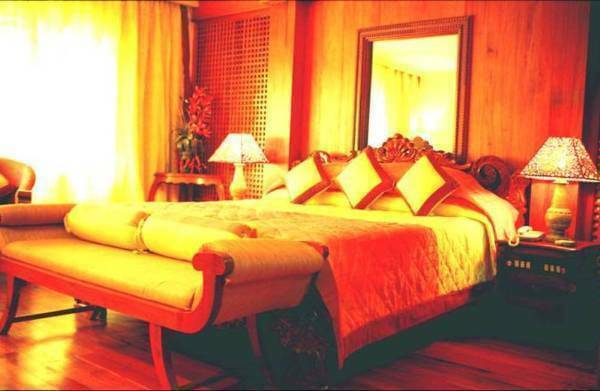 Suite Room : Our Suite is Spacious up of 75 meters Square. 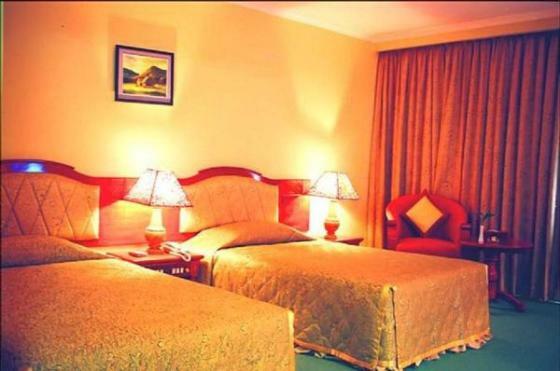 Suite Room feature separate Master bed room and living room with Extremely Comfortable bedding and pillow. Dragon suite also have two bath rooms that the bathroom in the master bed room is large with a separate show and Jacuzzi bath tub. Dragon Royal Hotel is lie on the National Nº6 that on the side lie on with Many interested place like : Khmer Cultural Village , Japenese Restaurant , Korea Restaurant , Chinese Restaurant and Super Market . Capacities of 170 Pax serve buffet Breakfast in the Morning. Cash Payment Upon Departure. Cecallation 24 hours before guest check-in , if No show room will be charging of the room rate one night Group or F.I.T Automatically on the contract rate. You can getting there only 5 Km from Siem Reap international Airport and only 2 Km from Siem Reap Town. Please provide us with your flight details as we provide complimentary Airport Pickup only. If you are arriving by bus or ferry, we can assist you to make arrangements for pick up. 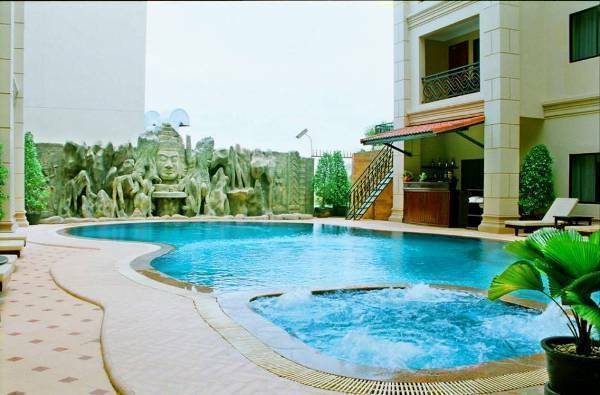 Dragon Royal Hotel the most Elegant hotel in city, Located on the national Road No 6, Closed to the Khmer Cultural Village, the war museum and the Angkor Golf Resort where you could enjoy the golf activities. So you can reach there by Many ways Like : Taxi, Tuk Tuk , Motor bike ........... Ete.